Earlier this year, the infamous pyramid investment king Bernie Madoff was testifying in court, in conjunction with a lawsuit that seeks to get his investors to return their profits to his company’s receiver (see the news story here). Madoff has served eight years of his 150-year sentence for the spectacular fraud where he paid his early investors with money of later investors—who ended up losing an estimated $18 billion. 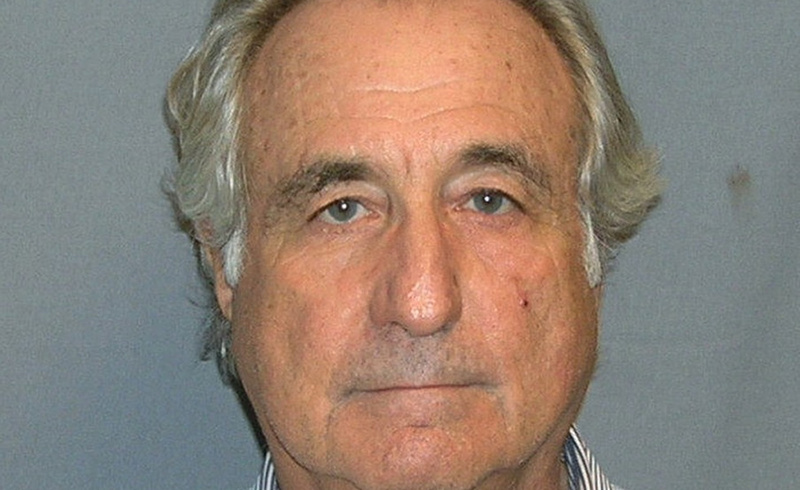 You may think that not much can be learned about business success from a fraudster like Madoff. However, he makes an excellent negative case that demonstrates crucial moral virtues long-term business success requires. Primarily, Madoff failed to follow the virtue of independence, and as a consequence, he also failed productiveness and justice. This quotation from Madoff’s court testimony gives us a clue: “I always wanted to please everybody.” These words, and his decades of defrauding investors, show Madoff’s lack of independence. Instead of placing his primary focus on facts—such as the requirements of real value creation—as independence would require, Madoff did whatever his early investors demanded, to maintain their returns. He evaded the fact that he was deceiving new investors to lure them into his scheme and that he was stealing from them. Madoff was what Ayn Rand would call a second-hander: someone who tries to gain values by pleasing and manipulating others rather than thinking for himself based on observation of facts and supporting himself through productive work. By partially blaming his early investors for pressuring him to commit the frauds, Madoff shows he has learned nothing. He is still a second-hander. Second-handers cannot succeed in business, not on the long run. Even in semi-free markets typical in many countries today, business success requires continual innovation: introducing new, better and cheaper products and services, and ways of producing and providing them more efficiently. If you don’t pursue innovation, those who do will out-compete you. Innovations are not created by imitating competitors but by looking at reality first-hand, thinking independently to identify market opportunities and to solve problems that taking advantage of such opportunities requires. The virtue of independence, the first-handed focus on reality in thinking and action, is required to follow the second virtue that success in business requires: productiveness. In Ayn Rand’s definition, productiveness is the process of creating material values: products and services on which human survival and well-being depends. Productiveness is at the core what business firms do and the reason for their existence. When firms produce material values—such as Apple’s iPhones, Uber’s ride-sharing app, and Manulife’s insurance products—profits are their reward. Madoff’s “investment” firm did not create any material values but destroyed them instead, like all fraud schemes do. Madoff stole the later investors’ money that they presumably had made legitimately and enriched himself and his early investors. The third virtue required by long-term business success that independence and also productiveness make possible is justice. According to Rand, justice requires judging people objectively, based on their character and conduct, and acting accordingly, granting them what they deserve. This means choosing to associate with only virtuous people, those who have values to offer (such as productive employees and clients who pay their bills), and shunning the vicious, those who destroy values (such as employees and clients who steal from you). By wanting to please everybody and not being independent, Madoff wasn’t concerned about objective judgment of others, only their gullibility. In the business context, the central aspect of the virtue of justice is trade: exchanging value for value, for mutual benefit and by mutual consent. Trade is necessary to produce material values and to make profit from them. Trade means win-win outcomes: both parties gain the values they seek. Not having created any material values, Madoff had nothing to trade. Instead, he swindled most investors to pay a few and himself. Long-term profits, or any other value, can only be achieved by first-handed adherence to reality in one’s thinking and action. Such independence makes possible productiveness, the creation of material values, as well as justice and trade for win-win outcomes. These are the lessons from Bernie Madoff, the second-hander, who failed to pursue the moral virtues long-term success in business—and life—requires, and therefore lost everything. During his recent court appearance, he said: “I have nothing to lose now.” One of Madoff’s sons committed suicide when the enormous swindle was revealed, his wife divorced him, and he continues to serve the remaining 142 years of his prison sentence.